Welcome to #50 on your scavenger hunt list! My name is Mandy Peterson. I'm the author of sci-fi "Before I Shatter", its upcoming sequel (releasing in 6-8 weeks!) "After I Break", and urban fantasy novella "Double-Back Charmer" in the "Ever in the After" charity anthology! If you want to know more about any of the released titles, please click on the covers below. They'll take you straight to my favorite place to shop online: Amazon! "Before I Shatter" is 99 cents right now, and "Ever in the After" is $2.99 (but free if you read in KU!). 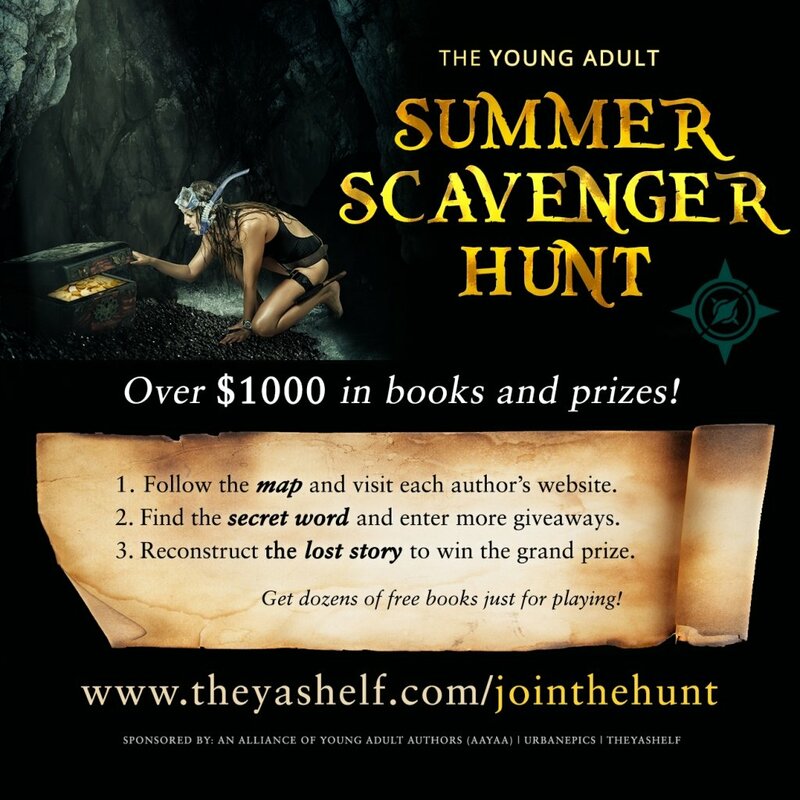 Because Amazon is my favorite place to shop online, I'm also offering my own giveaway in addition to the grand prize giveaway for the scavenger hunt. Best of luck as you enter! I've provided the link to #51 below as well as a link to the grand prize entry. If you're a little fuzzy on the rules, scroll down to my previous post. If you have any questions, don't hesitate to reach out and ask either by posting a comment here, finding me on Facebook, or reaching out on Twitter. On to #51, Audrey Gray! Finally getting back on my feet and I am so excited to share with you this fantastic giveaway opportunity with over $1000 in prizes. Yeah, it's kind of a big deal. Check out the rules and 'how to' below then visit me again June 1-7 for your chance to win!!! EEEEEE!